I have the free 500MB plan. I've been mainly using wifi, and occasionally my data plan, however, my data usage on my freedompop page is only updated with credits corresponding to my phone calls. This morning, the phone stopped working because I supposedly reached the limit, but my freedompop page says that I still have plenty of data available. Does the Data Usage setting on the phone tracks both wifi and plan data? Is there a way to have it configured so that it tracks only data when I am not connected to wifi? 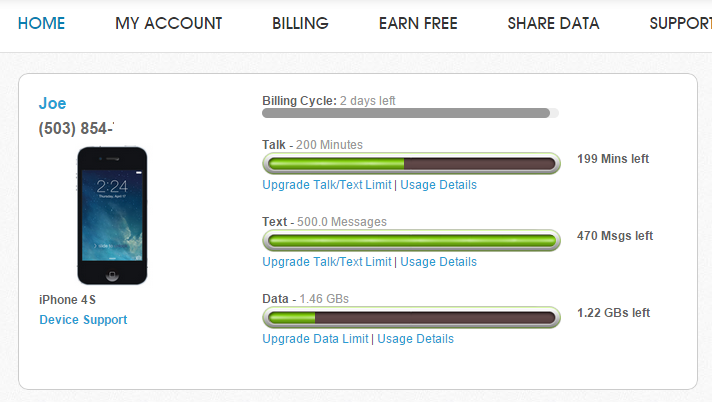 How can I make sure that the data usage reported on the freedompop page is correct? if your missing, you need a admin to fix it with a refresh.. But my data usage as monitored with the phone (galaxy S3) seems way off compared to the data usage recorded by FreedomPop. My data usage on my freedompop account only show a couple days where I used 1MB or so, when I know that I've been using the phone on 3/4G many days where it should have shown some usage and did not. Since Jan 9, I only have phone credits. And now, when I try to make calls, I have a message saying something's wrong with my account. I always get that I used more data than it says on freedompop...I think this has to do with using the voice and it not counting towards your data plan? This is the second cycle this has not worked. Data usage of my account only shows credits for phone calls. No data used, when I KNOW I am using small amounts from time to time to check email using my plan. Could an admin look into that? Problem is now fixed. Thanks!